We all would LOVE to get customers and keep customers, right? I mean, who wouldn’t? But, have you ever thought about WHY customers leave and why they stay? From personal experiences, do you have reasons why you stayed committed to a particular company or brand? Are there reasons why you left and decided to never go back? Quality. Are you familiar with Brooks Brothers? Brooks Brothers, my TOP clothing store for all things professional, is a VERY high-end clothing retailer for women and men. Some stores also cater to children. Why do I love Brooks Brothers so much? One word: Q-U-A-L-I-T-Y. They produce quality clothing using quality methods and quality materials. Their stuff lasts. Their stuff never fades. It doesn’t show its true age. Pay attention to the quality of the service or product you are giving to your customers. Put yourself in their shoes. Would YOU be happy if YOU were on the other end? Advice. Sometimes, customers might not know the intricate details of what they are looking for. They also don’t want someone to try to up-sell them on something they have no need for, or know nothing about, just so they can make a quick commission or earn a special award at the end of the month. Prime example: I took a pair of $90 Guess gold glitter heels to the shoe shop to see if one of the heels could be repaired, thanks to stepping in a crack on the first day of wearing them. The shoe guy looked at the shoe and told me it would cost $50 to repair the shoe because they’d have to get the exact fabric/dye, from Guess, and then redo the entire heel. He flat out said it’s not worth it. He came up with a “bandaid” solution that actually worked and only cost a couple of dollars! You know what? I go to him for ALL of my shoe needs now. Why? Because he was HONEST and didn’t try to make a buck at my expense. He earned my loyalty. 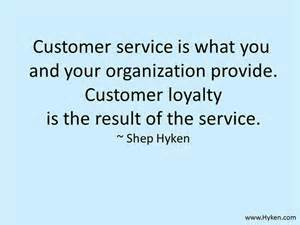 You have to EARN your customers’ loyalty. Give them the right advice! Performance. You ever go into a restaurant, really hungry and ready to eat, only to have to wait 15 minutes or so, before your drink order is even taken? While you’re sitting there waiting, all of the wait staff are running around like a chicken with their heads cut off, appearing to be “lost”? Continuously apologizing for making you wait, yet continuing to make you wait, while others are getting their food served? No? Well, that’s happened to me and it’ll be a LONG time before I set foot in that place again. Mind you, I was a long-time customer. However, the performance level, that evening, dipped to an all-time low. Service was slow. Orders were overlooked. Staff was unprofessional and not doing their jobs. Customers were made to wait for way longer than necessary. Your performance is under evaluation each and every time. Make sure it is up to par. Again, put yourself in your customers’ shoes. How would you feel to receive the performance YOU were giving? Truth hurts, right? Experience. Contacted a name badge company to provide name badges for my staff. First time using this company. Not only did the representative NOT get my order right (two of the badges had the exact same names on them instead of what should have been on it), she had the audacity to inform me that she can’t remember everybody and everything as she deals with a lot of customers on a daily basis. *blank stare* Oh, really now?! Now, you KNOW I took this further and reached out to the operations manager. His response: although this is unacceptable behavior, she IS new and maybe needs a little bit more training. How much training does one need in order to know that THAT is not the way to keep a customer? I’ll tell you right now, falling behind that “I’m new” curtain is just not going to cut it. People are lenient, but only to a certain degree. You don’t want them to reach that degree. Learn, learn, LEARN! Gain as much experience as you can along your journey and NEVER let the customer get a whiff of your inexperience. Support. Okay, how many of you had to contact a computer support center, only to be given a representative from another country, and then be told that, if you want an English-speaking representative, it will cost you X-amount of money? I won’t call out the name of the company (I’m sure some of you might know who I’m referring to, though). The point is that, providing support to your customers is important, and they should be able to count on that support with no strings attached. Make sure the support you are providing YOUR customers is the kind of support you would like receive, as well. If you aren’t, you probably need to re-evaluate some things. Competence. Nobody likes dealing with companies who are incompetent. Hiding behind excuses is not the way to build customer loyalty. Own up to your mistakes. Admit you were wrong. Then – and this is the most important thing – discuss how you plan to remedy the situation. In regards to the name badge scenario, the remedy for that was to give me a new representative to work with. Guess what? HE couldn’t get it right, either! The level of incompetence within that company was unbelievable! The problem is that they were growing at a fast pace and was losing touch with what got them there in the first place: their customers. Grass roots, people. Grass roots. Go back to them. 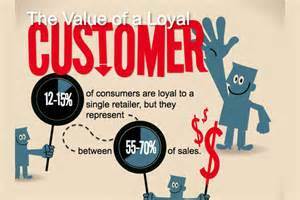 With all of that being said, you can sort of understand why customer loyalty is so important. It is even more important than customer satisfaction. Who cares about customer satisfaction?! I can be a satisfied customer but NEVER frequent your business ever again. True story. However, as a LOYAL customer, I will keep coming back and, not only will I keep coming back, I’m going to tell others about my experience(s) to get them to come, as well. THAT is the key! You want your customers to keep coming back and bring their friends/family, too. When that happens, you have arrived. Loved this Hospitality Shero! I always love to read personal experiences that the experts such as yourself have received, instead of the generic cut and paste, “This or That shouldn’t be done” scenarios! Thanks for sharing your experiences! Previous PostUtah luxury: 7 high-end travel experiences you won’t believe!